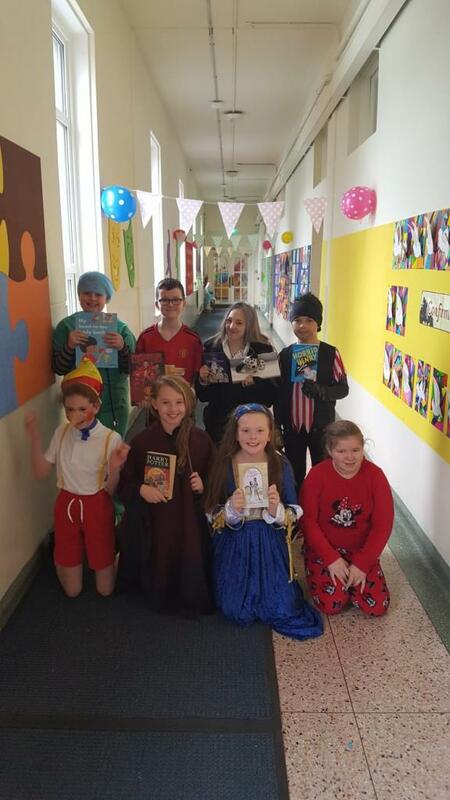 In 4th class we had a great time dressing up for World Book Day! 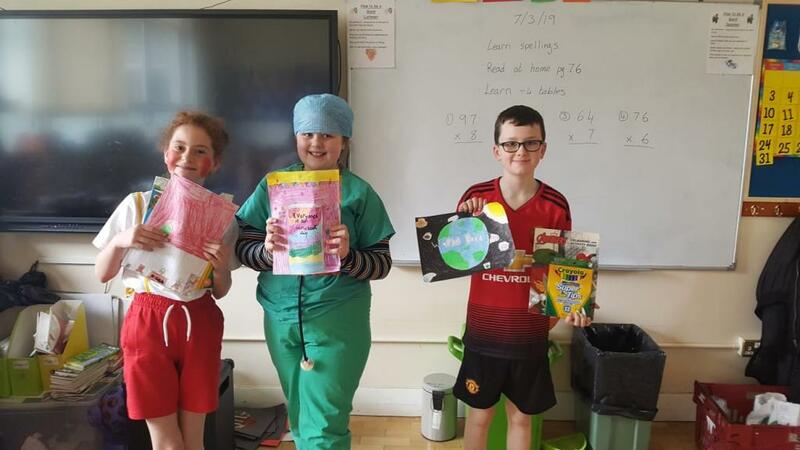 We all made posters for a World Book Day competition and these are our lucky winners with their prizes. 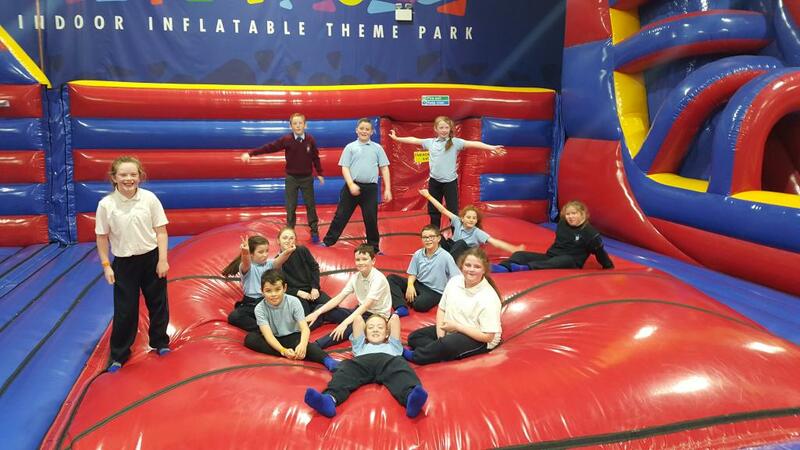 Ms Cummins 4th class had a fantastic time on their trip for winning best attendance. 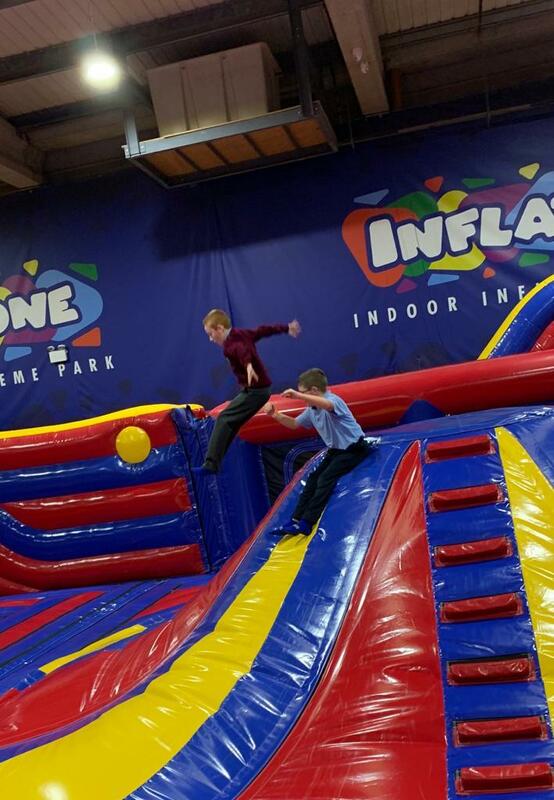 We got to go to Inflatazone and have pizza for our lunch. 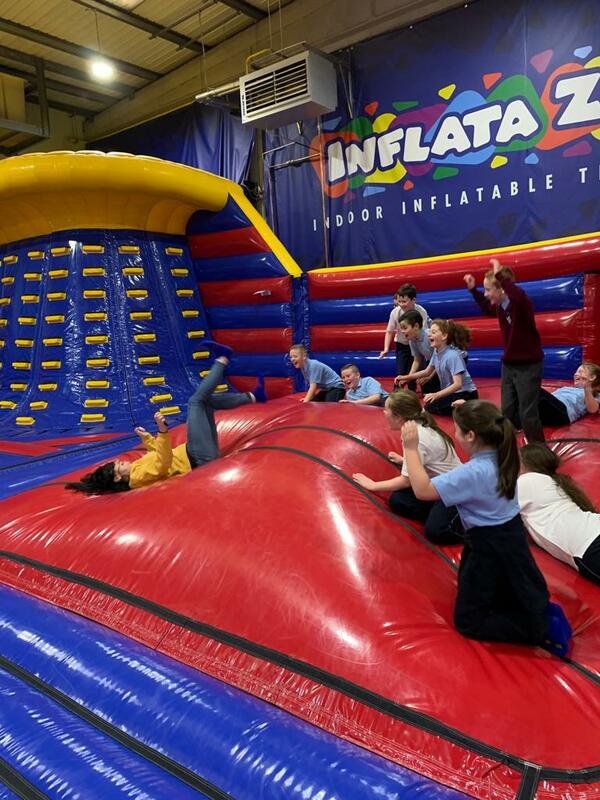 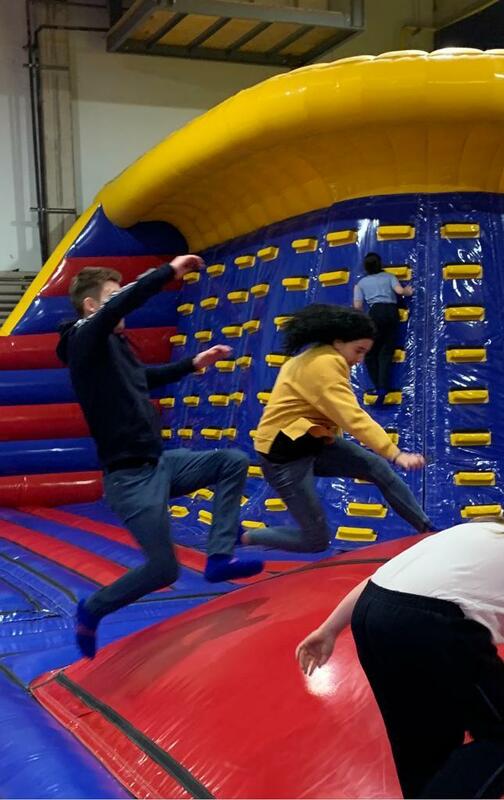 Even the teachers got in on the fun. 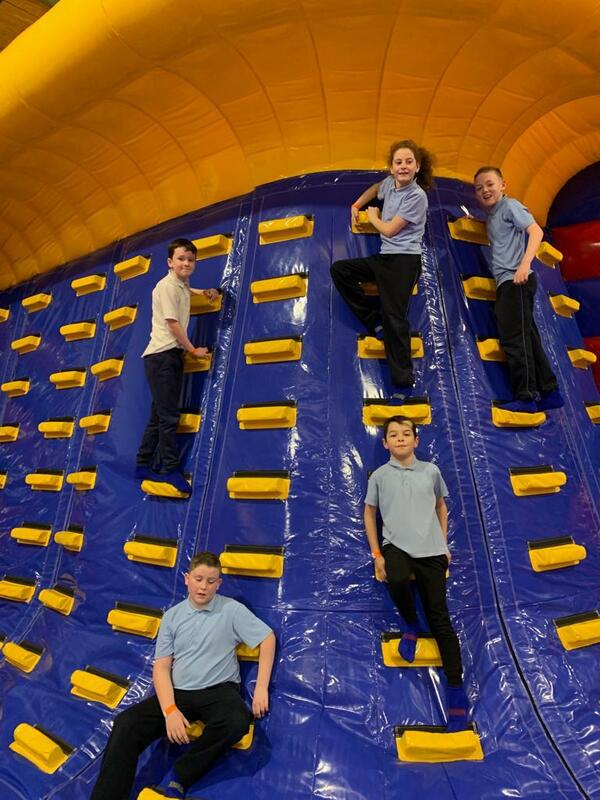 A great day was had by all, we’ll definitely be trying for the next prize too.